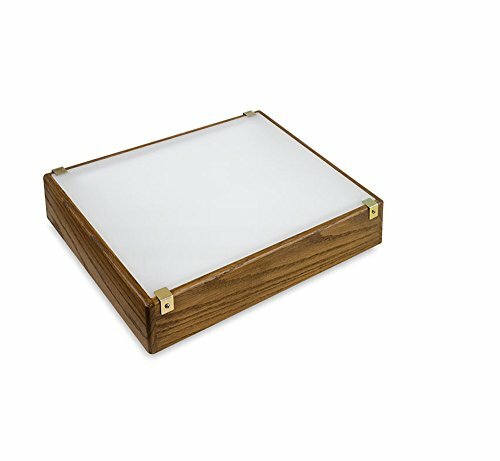 This Porta-Trace LED Light Box by Gagne has a handsome low profile oak frame that is stained a rich walnut color. It features full even LED lighting, and a 3 prong grounded plug. The 12X14 inch sturdy plexiglas work area makes it easy to create, design or inspect. This is a great tool for artists, designers, photographers, and engineers. Made in the USA. If you have any questions about this product by Gagne, contact us by completing and submitting the form below. If you are looking for a specif part number, please include it with your message. Hall Productions BL 1836 Hand Crafted Back Light Box 18"x36"